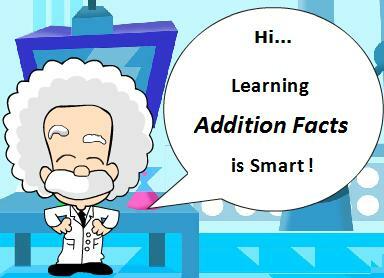 Online Addition Activity That Makes Learning To Add Exciting For Kids. Ready to practice those addition facts! Try this fun online addition activity and help Dr. Moon launch his rocket to the moon! Addition games are fun and cool!! Click on start to begin. Answer each addition problem by clicking on the correct answer at bottom. Fishin' For Addition: All you need to do is print off the game cards and you'reready to play! Three Dice Addition: Grab three six-sided dice and you're ready to get the kiddos going with this nest addition activity. Addition Fact Practice: Here's another activity that will help kids build their addition fact skills. Are you looking for practice adding 2 and 3 digit numbers? Sunken Treasure: Help the pirate find the sunken treasure by adding and subtracting two-digit numbers. Adder Ladders: This is a two and three-digit addition game that your students will enjoy. print off the game cards and you're ready to play!